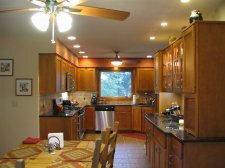 Homeowners often forget about the kitchen window when considering a remodel. Depending on the condition of the window, you may be able to simply give it a makeover with new paint or by sanding, staining, and varnishing. You may want to consider a new window if 1) it's in poor condition, 2) it's not energy-efficient, or 3) you want to change the look from inside and out. 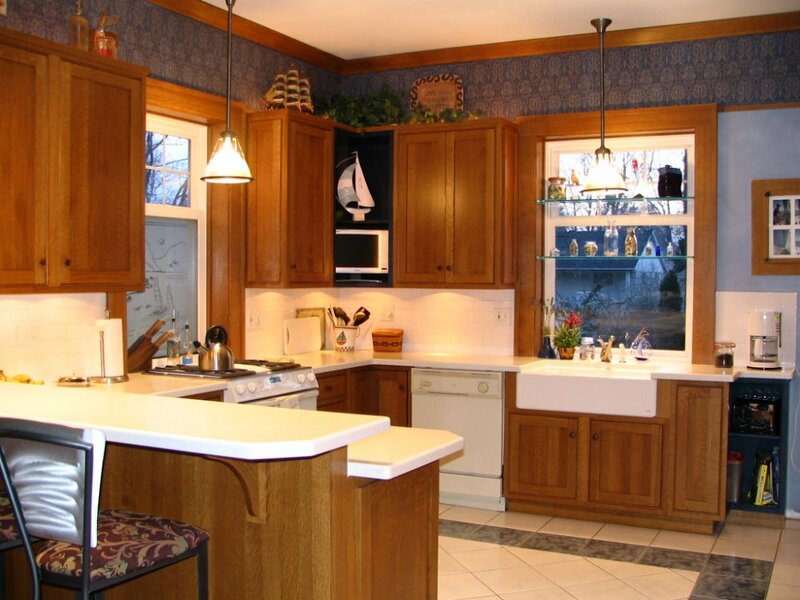 Most kitchen windows are really comprised of two windows, either double-hung or twin casement. These traditional windows have wood partitions in your site view. Replacing these windows with an awning window will offer a new clean look by eliminating the obstructed view. 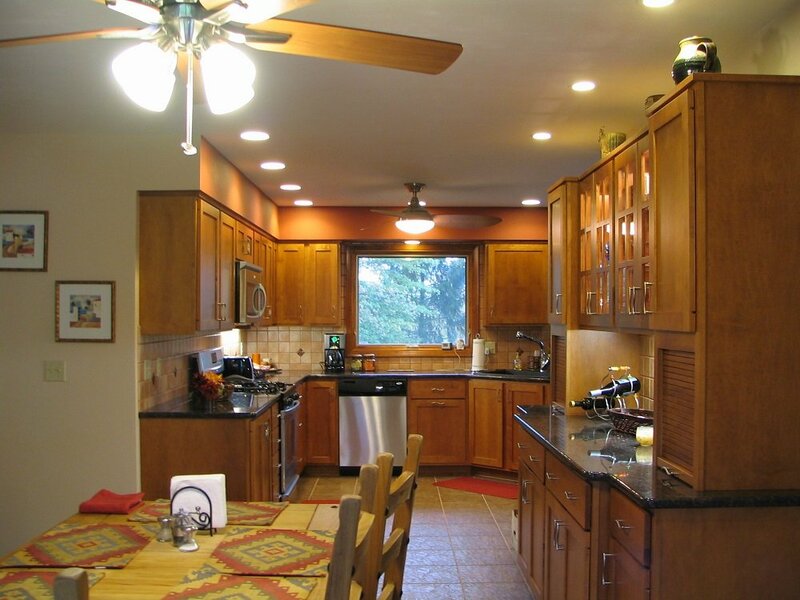 This window brings the outdoors in and usually makes the kitchen feel larger. Another option is to add a box bay window. This is a large picture window that may, or may not have two windows that open on each side. This window brings in more light, offers a panoramic view, and provides ventilation. 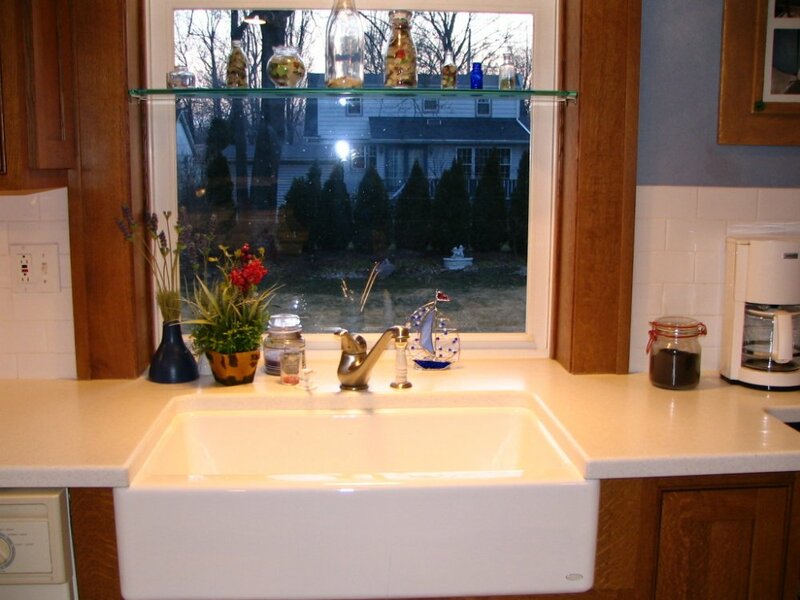 A great benefit to installing in the kitchen is gaining additional countertop space, especially at the kitchen sink. 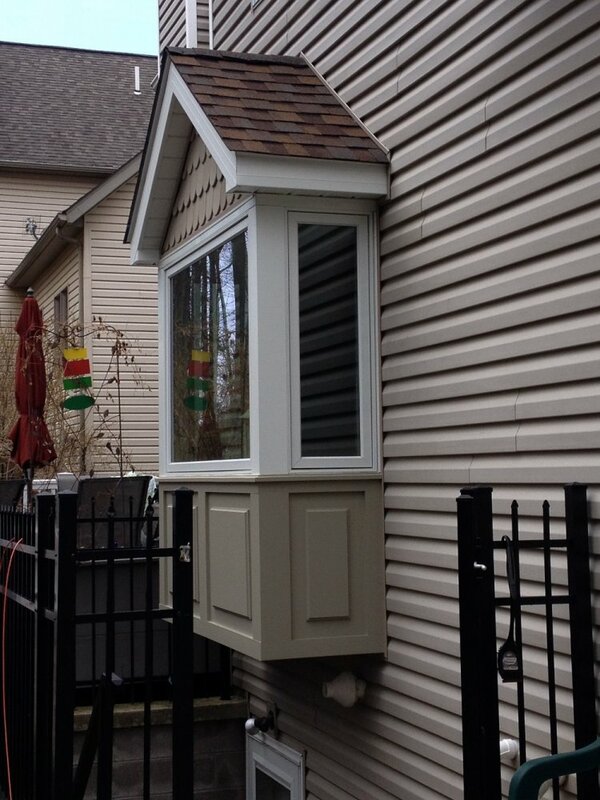 The window is installed with the box level to the countertop. The space that runs out into the window box can be used to display things like plants or decorative glassware. The extra space behind the sink also allows for easier cleaning of fixtures versus when the sink butts up against the wall. An economical way to get the same effect is by over-framing the window opening by double the wall thickness and installing a single window. Now you have an area deep enough to drop a couple of glass shelves. Box bay windows are a nice feature in any room and can be adorned with a decorative surface, such as granite or accent tile.